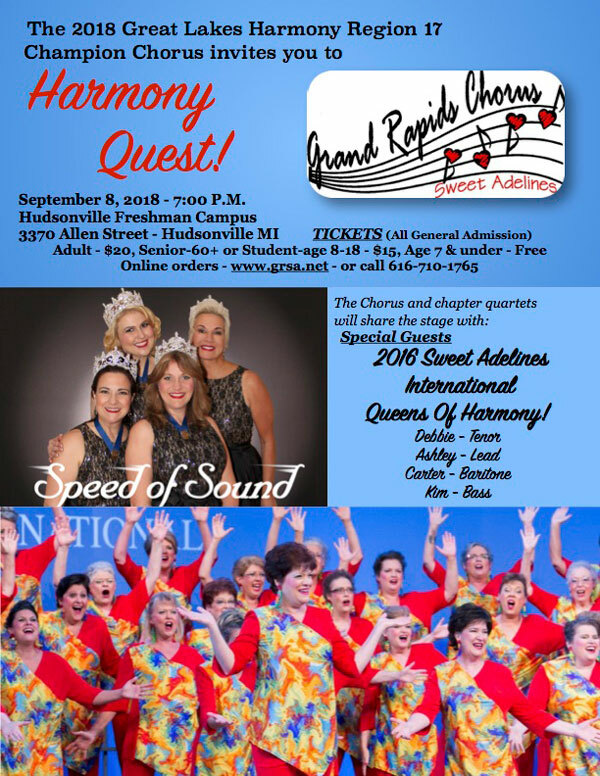 The Grand Rapids Chorus is a group of women singers that sing Barbershop Harmony. 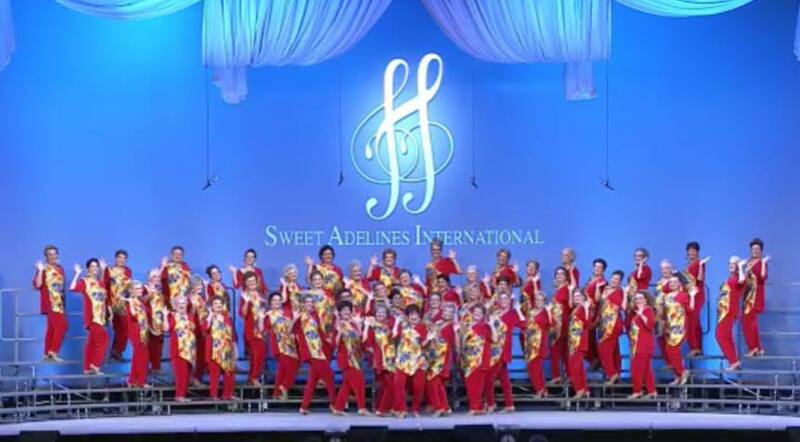 Members audition and become members of Sweet Adelines International. Our goal is to provide music and vocal singing education to adult women. We also provide numerous performance opportunities for members. There are costs involved in membership (dues, costumes, other optional expenses), but the cost is well worth it. We also have some options available for members to earn funds. We invite adult women singers to attend a rehearsal and see if we might be what they are looking for to grow as a singer and as a person!